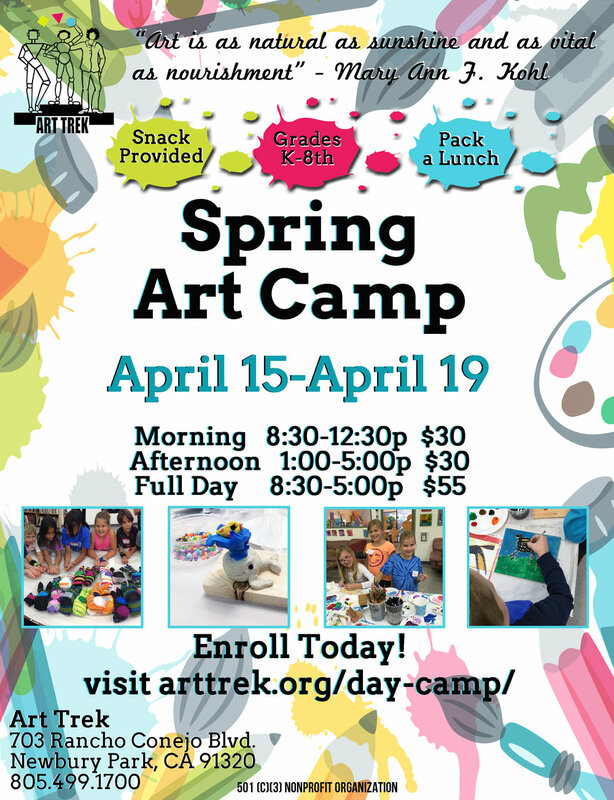 Join us for a fun and exciting camp day at Art Trek! Our morning and afternoon sessions are directed in painting, sculpting, construction, sewing, collage, and much more. Our professional staff and instructors are always available as your children express, experiment and explore in what will become their studio space.